The Bureau of Infrastructure, Transport and Regional Economics (BITRE) has attributed static domestic traffic growth in February in part to “severe weather conditions in Queensland”. In the month that Cyclone Yasi battered northern Queensland, and in the aftermath of the Queensland floods, Australia’s domestic airlines carried 3.98 million passengers in February 2011, down marginally on the 3.99 million passengers carried in February 2010, although revenue passenger kilometres (RPKs) grew by 3.9 per cent to 5.27 billion. Available seat kilometres were up 6.0 per cent to 5.90 billion, which saw load factor drop 3.7 points to 75.7 per cent, while aircraft trips increased 2.9 per cent to 42,762. 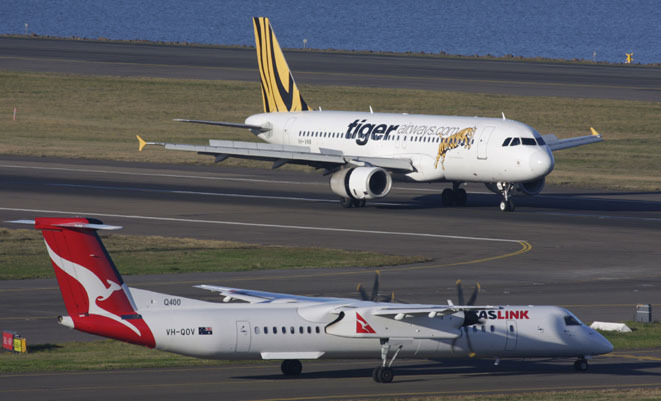 A number of routes experienced falls in passenger numbers for the month on February 2010, including Australia’s busiest, Melbourne-Sydney, with traffic down 1.2 per cent. Adelaide-Gold Coast recorded the biggest fall, down 32.8 per cent, while other city pairs to record notable falls included Brisbane-Hamilton Island (-23.2 per cent), Sydney-Hamilton Island (-20.1 per cent), Brisbane-Proserpine (-20.0 per cent), and Gold-Coast-Sydney (down 11.8 per cent). Brisbane-Sydney traffic fell 2.1 per cent, Adelaide-Sydney 5.2 per cent, Canberra-Melbourne 7.5 per cent. Routes to record notable traffic increases included Melbourne-Newcastle (up 21.5 per cent), Newman-Perth (19.0 per cent), and Launceston-Sydney (13.5 per cent). Brisbane-Melbourne traffic grew by 6.1 per cent, Melbourne-Perth 5.9 per cent.